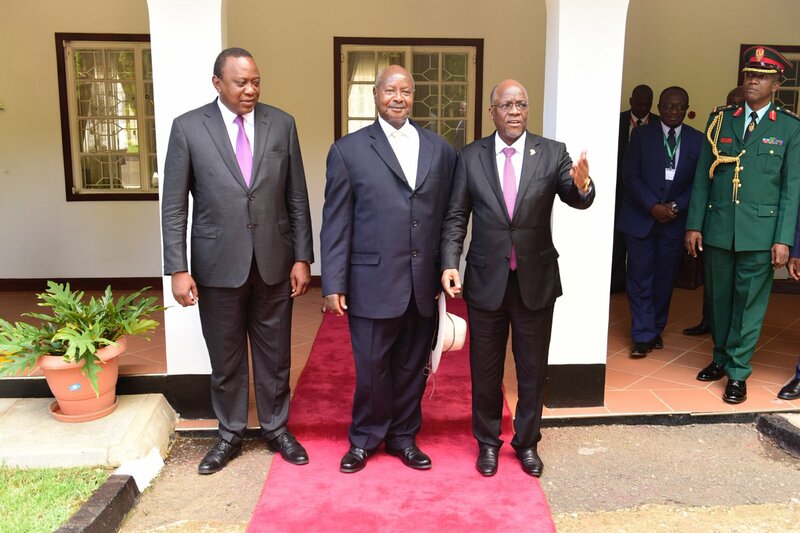 The 20th Ordinary Meeting of the Summit of the East African Community Heads of State that was slated for November 30, 2018 at the Arusha International Conference Centre (AICC) in Arusha, Tanzania has been postponed to a later date. Making the announcement at the AICC’s Simba Hall, the Chairperson of the EAC Council, Kirunda Kivejinja, said that the Summit would not take place due to a lack of quorum caused by the absence of Burundi. “According to Rule 11 of the Rules of Procedure of the Summit of the EAC Heads of State, quorum is made of all Partner States representation which is in consonance with decision making by consensus under Article 12 of the Treaty,” Kivejinja, who is also Uganda’s 2nd Deputy Prime Minister and Minister of EAC Affairs. The decision to postpone the 20th Ordinary Summit was taken by President Yoweri Museveni of Uganda; President Uhuru Kenyatta of Kenya; President Dr. John Pombe Joseph Magufuli of Tanzania; Paul Moyom Akec, Minister of Trade, Industry and EAC Affairs representing South Sudanese President Salva Kiir Mayardit, and; Dr. Richard Sezibera, Minister of Foreign Affairs and International Cooperation, representing Rwandan President Paul Kagame, all of whom were present at the meeting venue in Arusha. “The Heads of State regret the inconveniences caused to the distingushed delegates and guests,” said Kivejinja. Other items on the Agenda were: the roadmap for the accelerated integration of the Republic of South Sudan into the EAC, and; the verification exercise for the admission of the Republic of Somalia into the Community.